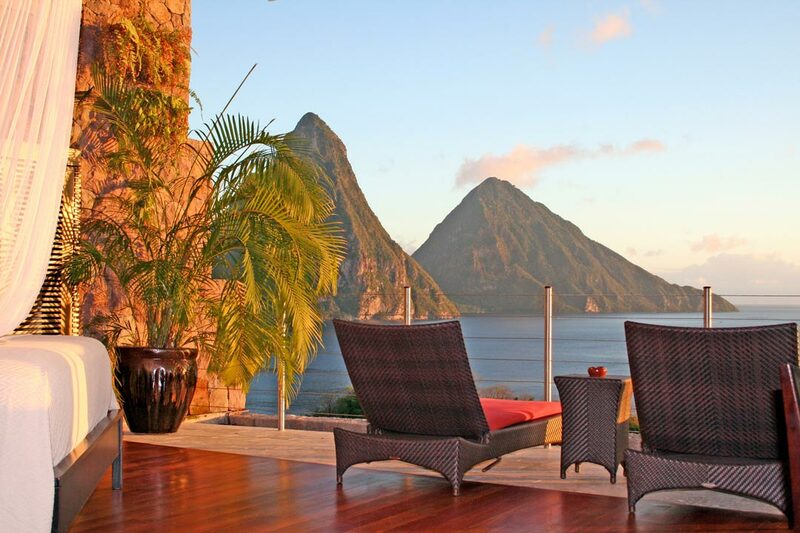 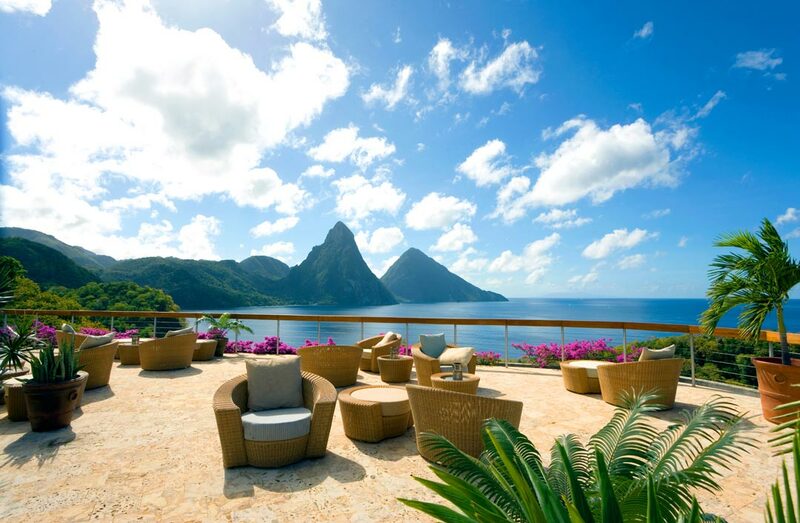 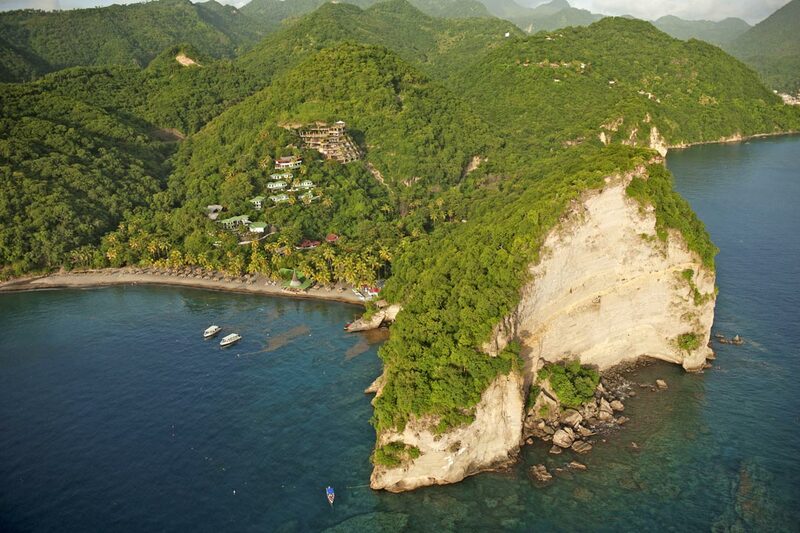 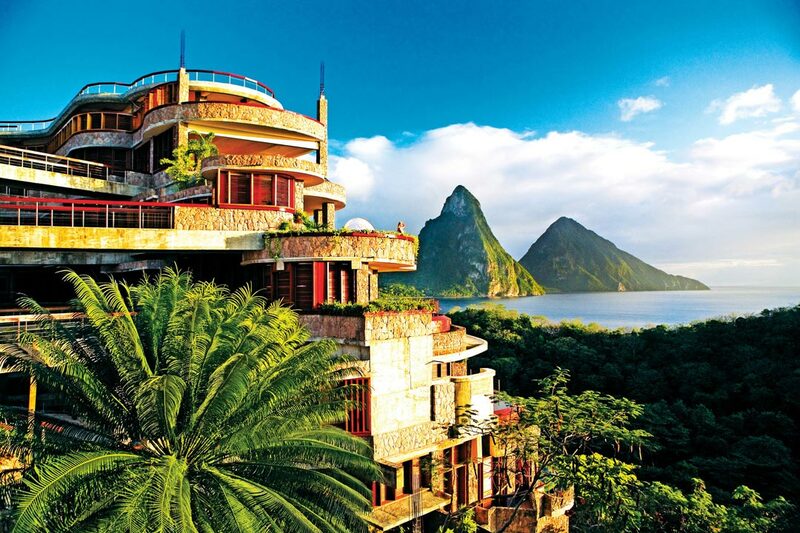 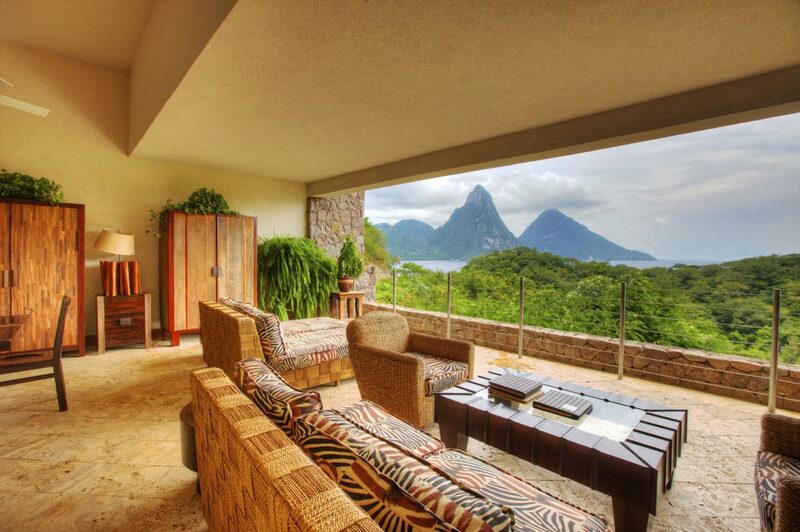 All of the sanctuaries celebrate an unparalleled view of the Pitons and the Caribbean Sea. 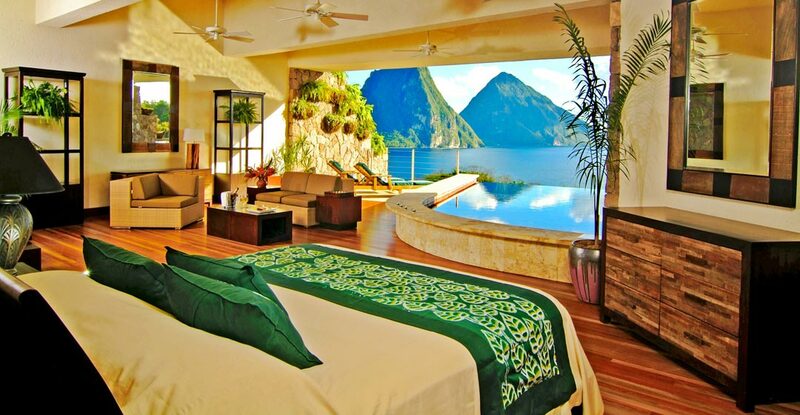 Expect grand sweeping spaces where bedroom, living area and the extravagant private infinity pool glide into one another to form extraordinary platforms floating out into nature. 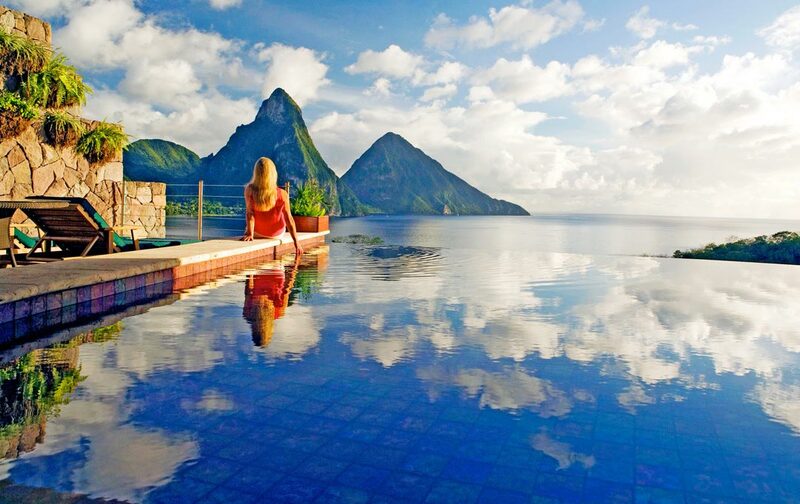 Four rate categories of infinity pool sanctuaries have been created to reflect the square footage of the sanctuaries and size of pool: STAR, MOON, SUN and GALAXY. 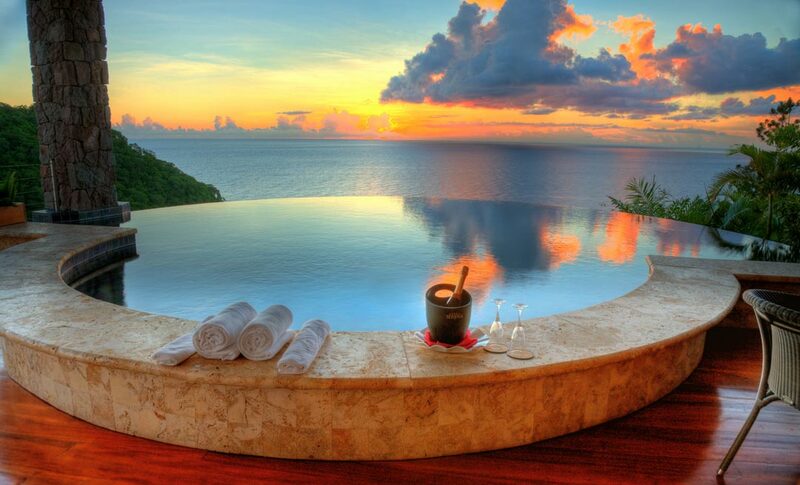 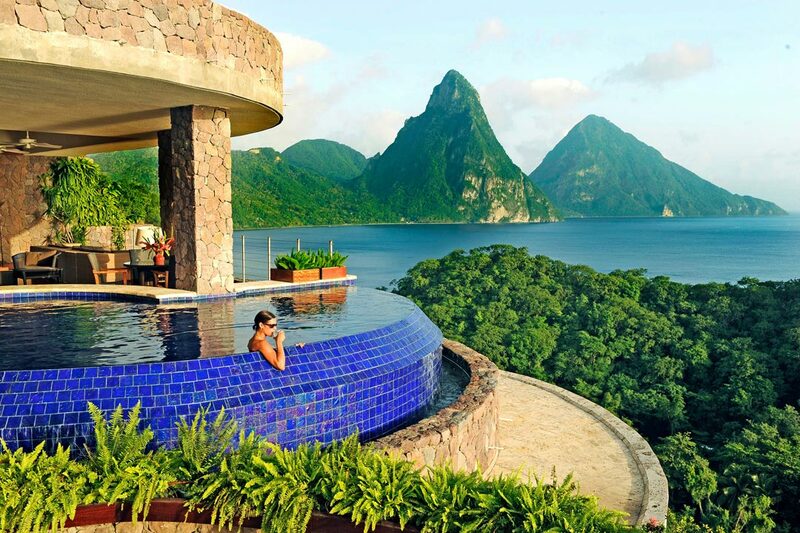 In addition to the 24 infinity pool sanctuaries, there are 5 sky jacuzzi suites which feature a large jacuzzi tub for two, but do not have a private pool. 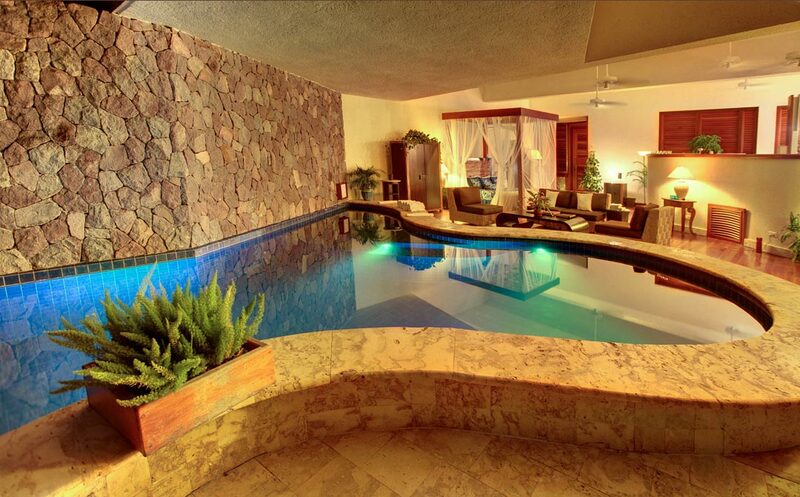 Rates per suite/sanctuary per night, based on double occupancy, inclusive breakfast, 10% VAT and 10% service charge. 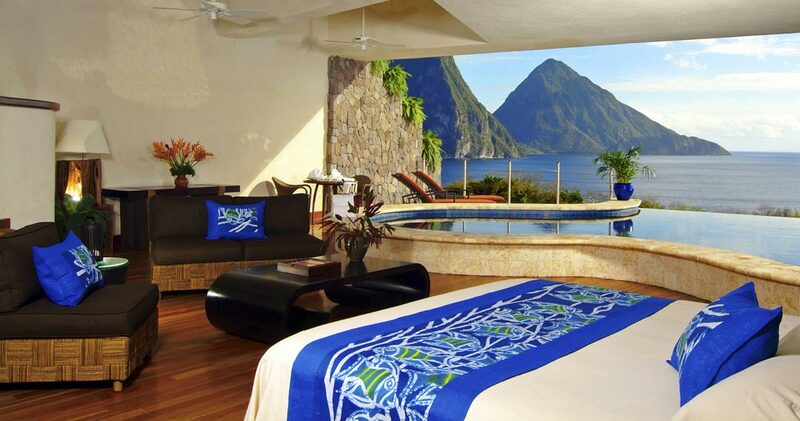 Jade Mountain Club restaurant, suite service at any time & all dining venues at Anse Chastanet. 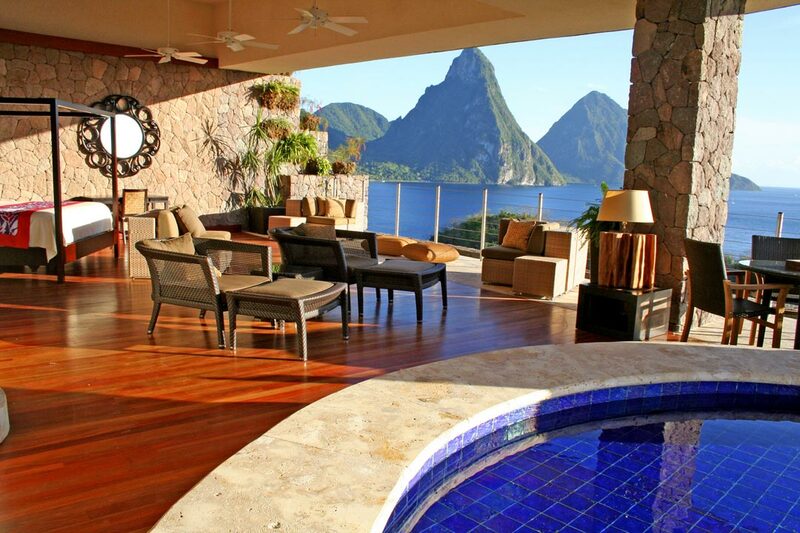 Jade Mountain guests can choose from a carefully selected menu of spa treatments available in the privacy of their infinity pool sanctuary or in Jade Mountain's boutique St.Lucia spa Kai en Ciel. 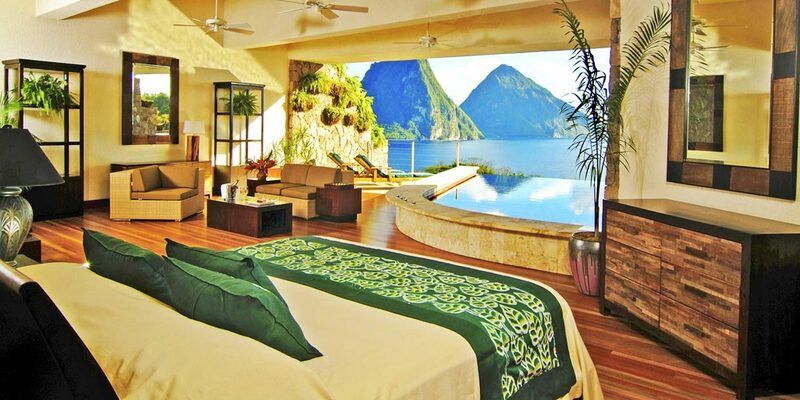 Also, the Kai Belté spa located on Anse Chastanet beach and the Kai Mer spa cottage are available to Jade Mountain guests at any time. 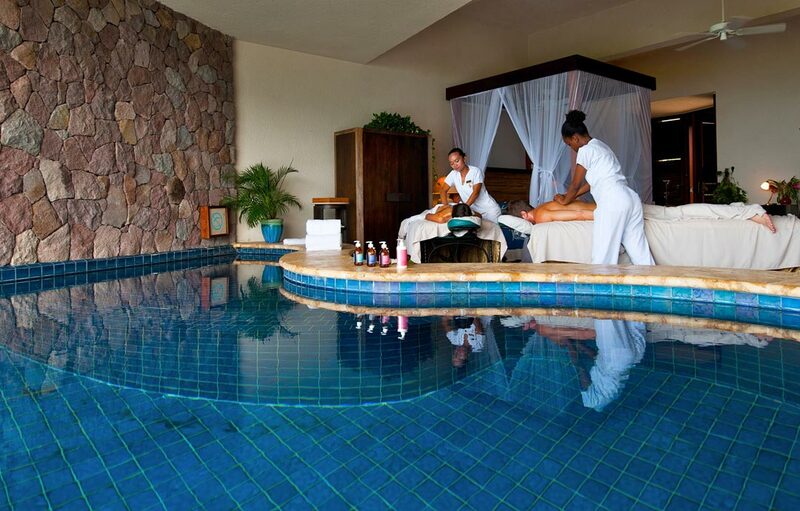 Kai en Ciel spa offers a large and varied menu with both classical body and beauty treatments, as well as ayurvedic and holistic services.